Each extension has download links for Chrome, Firefox, Opera and sometimes Edge and Safari. For the ones which aren’t available for a given browser, I tried to find alternatives, but I couldn’t always find one. If I missed any, let me know and I’ll add them! Do note that Opera has an extension to allow it to install Chrome extensions. 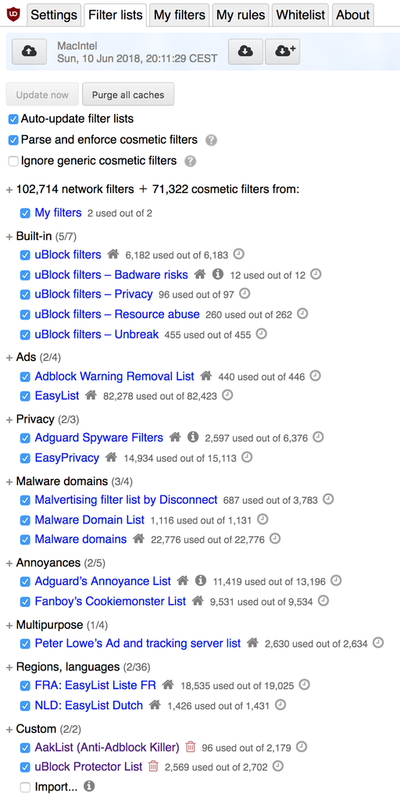 uBlock Origin is an extension that blocks both ads and trackers. It intercepts requests and blocks them before they even get executed if they match the loaded filters, which saves bandwidth and reduces loading times. uBlock also removes ad containers from the website, which makes for a cleaner browsing experience and avoids having large empty blocks on the page where ads used to be. Unlike another controverted ad blocker, all ads are blocked by default. The filters are entirely configurable and its also possible to manually remove elements from a page, either temporarily or permanently. uBlock Origin is available for Chrome, Firefox, Opera and Safari. Privacy Badger is an extension developed by the Electronic Frontier Foundation. It also aims to block trackers, however, unlike uBlock, Privacy Badger doesn’t use any predefined lists; instead, it keeps a log of all requests made to third-party domains on the various websites you visit. It then checks if these domains are tracking you, be it through cookies, browser fingerprinting, etc. If it finds a domain to be tracking you across at least three different websites, all subsequent requests to this domain will be automatically blocked. If the data fetched from those domains is vital for the website (maps, images, CSS, …), Privacy Badger will allow the connection but block cookies. 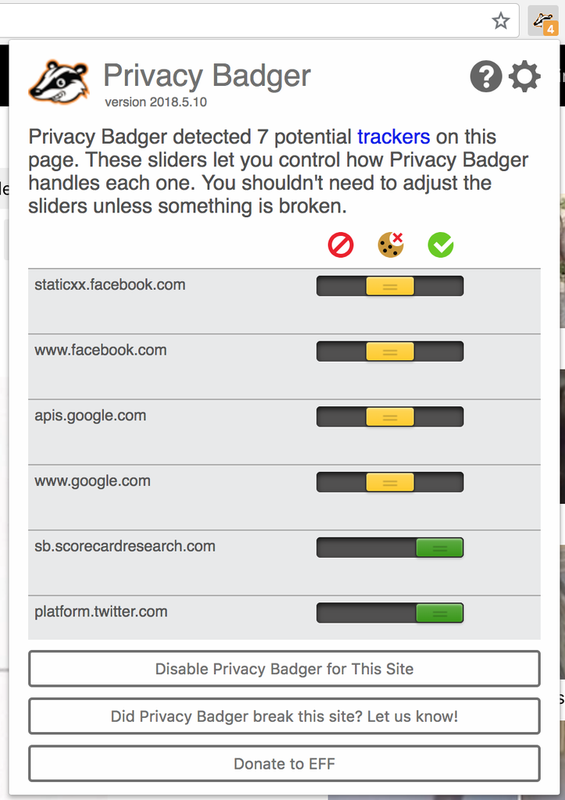 Privacy Badger also replaces the various social buttons with static versions that don’t track you (if you don’t click them, obviously). Privacy Badger is available for Chrome, Firefox and Opera. HTTP Everywhere is an extension that enables HTTPS on all websites that support it but don’t do it themselves. This ensures that all your connections are encrypted whenever possible, greatly enhancing the security and privacy of your browsing. HTTPS Everywhere is available for Chrome, Firefox and Opera. The Wayback Machine is a beautiful tool offered by the Internet Archive. For those unfamiliar with the Internet Archive, it’s a non-profit that aims to archive all versions of anything that has ever existed on the Internet. This means they store a humongous quantity of websites (332 billion pages), but also books, software, recordings, concerts, videos and images. The Wayback Machine is what makes it possible to browse through all those archived websites. The extension makes it so that whenever you reach a page that doesn’t exist anymore, it displays a popup that allows you to browse previously saved versions in the Wayback Machine. Wayback Machine is available for Chrome, Firefox and Safari. Pocket is a service that allows you to save articles offline to read them later, be it on your computer or your phone. Apart from the fact articles become available offline, another advantage is that instead of saving the whole page, Pocket saves only the text and the images, which allows for an optimised and configurable display. You can choose the background (white, black or sepia), the font size and whether you want serifs or not. The extension is simply a button that allows you to add a page to Pocket with a click. It’s also possible to add tags to the saved page directly in order to organise your list. 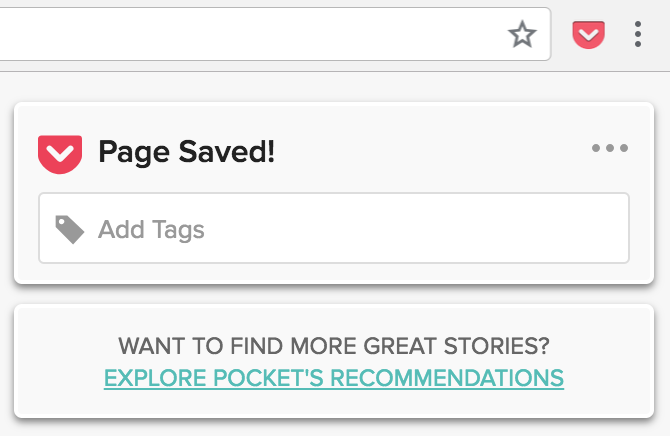 Save to Pocket is available for Chrome, Opera, Edge and Safari, while being integrated natively into Firefox. Before using it, you’ll have to create an account. The concept behind Trello is simple: boards, composed of lists, themselves composed of cards that can be drag-and-dropped between the different lists. In its simplest form, a card contains only a title. 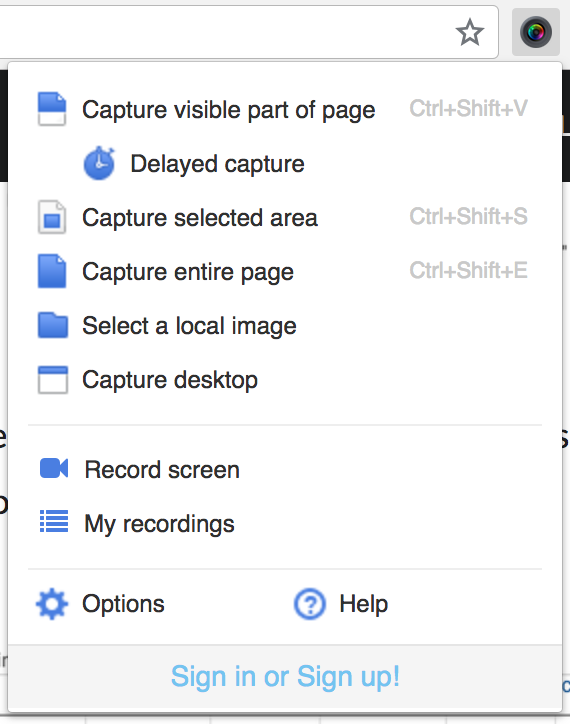 You can then add a description, attach files and images to it, assign tags, … It can be used to organise basically anything. If you’re ever lacking inspiration, you can visit their aptly named inspiration page to get some. The extensions allows you to create a card in a given list, attaching the current page if you wish. I often use it to add cards to my recipe board. 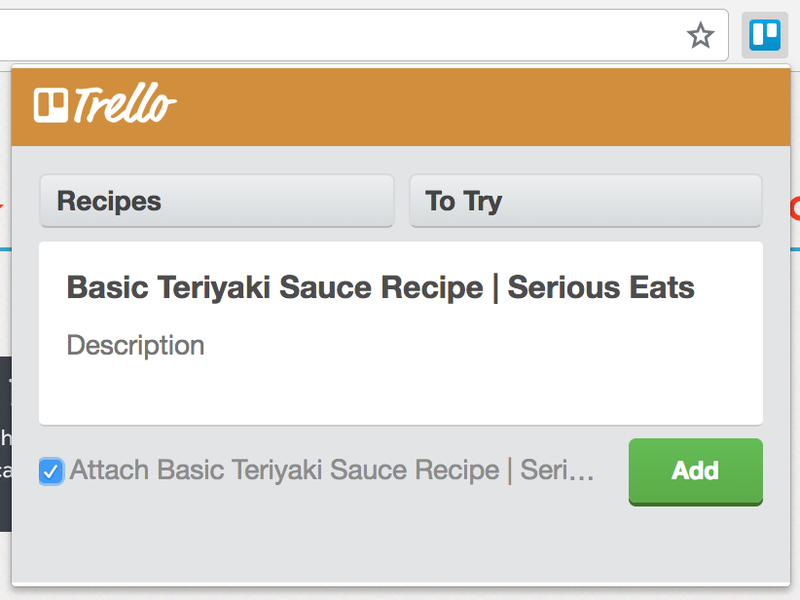 The Trello extension is only available for Chrome. I was unfortunately unable to find alternatives for other browsers. There’s also a panel with the minimum, average (90 and 180 days) and maximum price. In addition to all this, you can also instantly check if the product you’re viewing is cheaper on another Amazon website by hitting the Compare Amazon prices button. Ticking the box at the bottom of this view will display the same information directly on the standard view, allowing you to have everything available at a glance, as you can see below. The price comparison widget also includes direct links to the reviews on other Amazon sites. Keepa’s prices are kept up-to-date by the extension itself, which sends the prices of the items you check to their servers. This can be disabled in the settings. Keepa is available for Chrome et Firefox, Edge and Safari. If you’re anything like me, chances are you quickly end up with a huge amount of open tabs, even though half of them have no real use anymore. 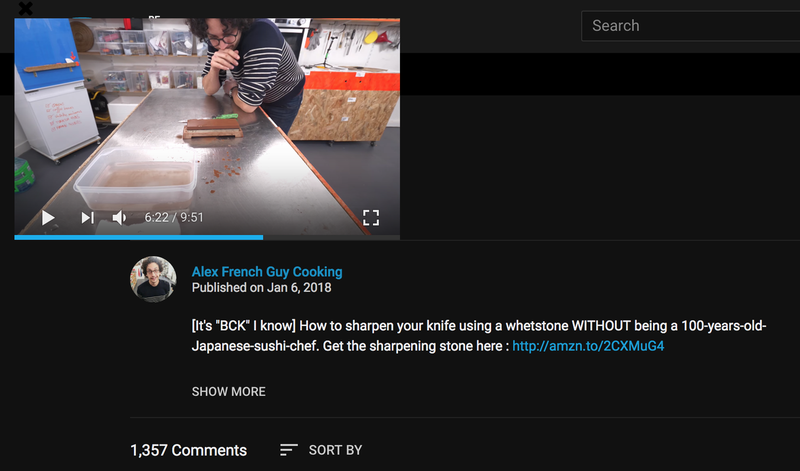 In that case, this extension should interest you; its purpose is to close tabs that have been inactive for a certain amount of time, while still allowing you to get them back if needed. Just set the duration before a tab is deemed inactive, the minimum number of tabs to activate the extension and the maximum number of closed tabs to keep a record of and you’re all set. 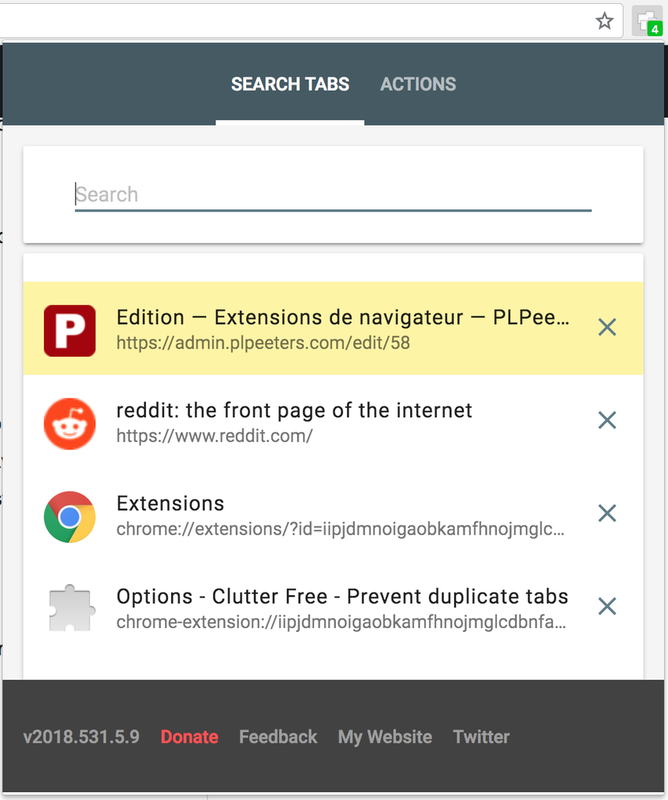 All tabs which stay inactive for too long will then be sent to the extension’s Tab Corral, where you can search for them by title or address and reopen them with one click if necessary. 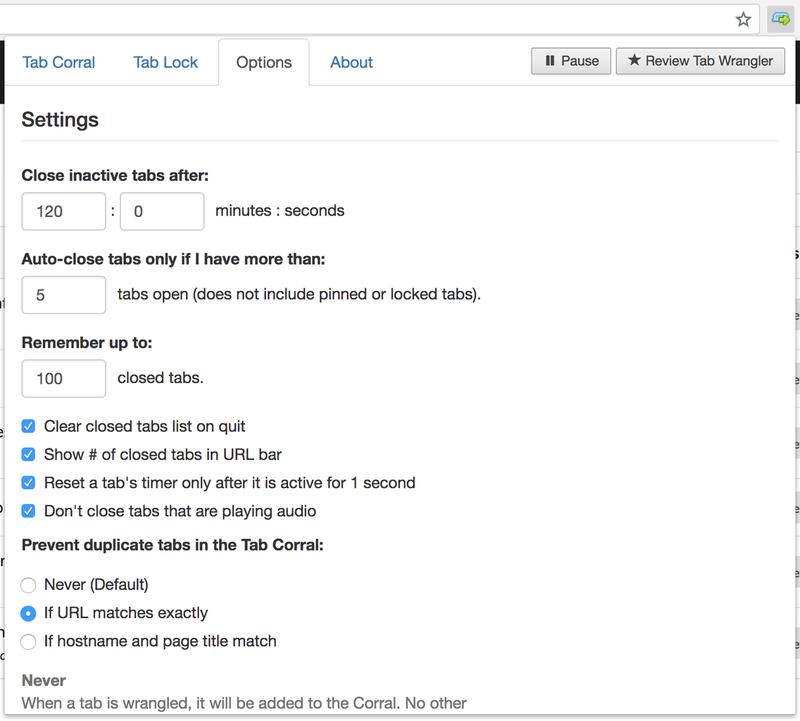 Tab Wrangler is available for Chrome et Firefox. xTab is only available for Chrome. Alternative for Firefox: Max Tabs (only sets a limit, without any auto-closing options). Continuing the theme of new-tab disease, Clutter Free is an extension that prevents you from opening two tabs with the same address. This means that if you click a link that leads to a page you already have a tab for, the extension will just switch to the existing tab. In the event you really wish to duplicate a tab, you can do so through the extension’s menu or via a keyboard shortcut. 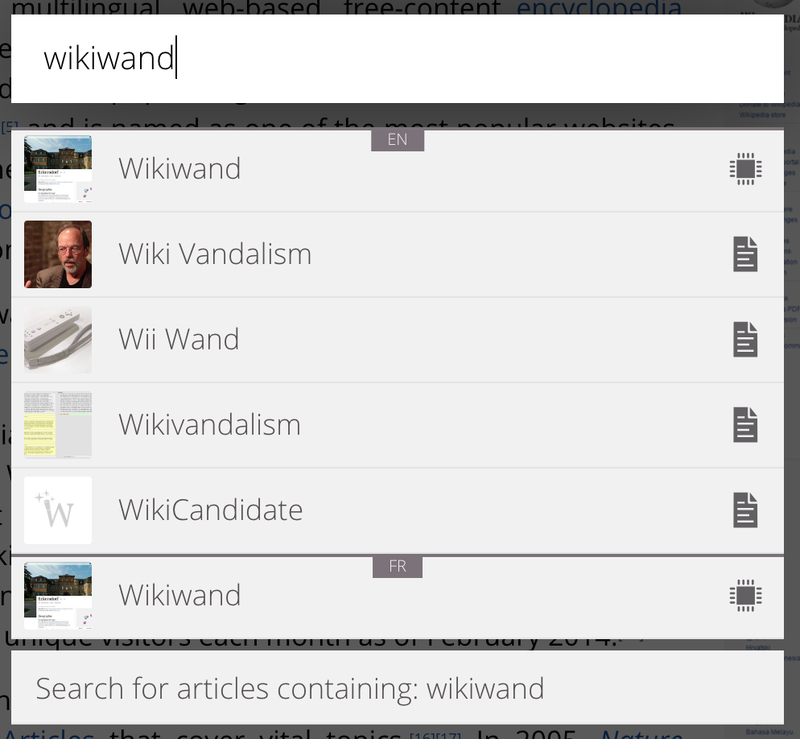 In addition, Clutter Free allows you to search for a tab by title or address. Clutter Free is only available for Chrome. Alternative for Firefox: Duplicate Tabs Closer. 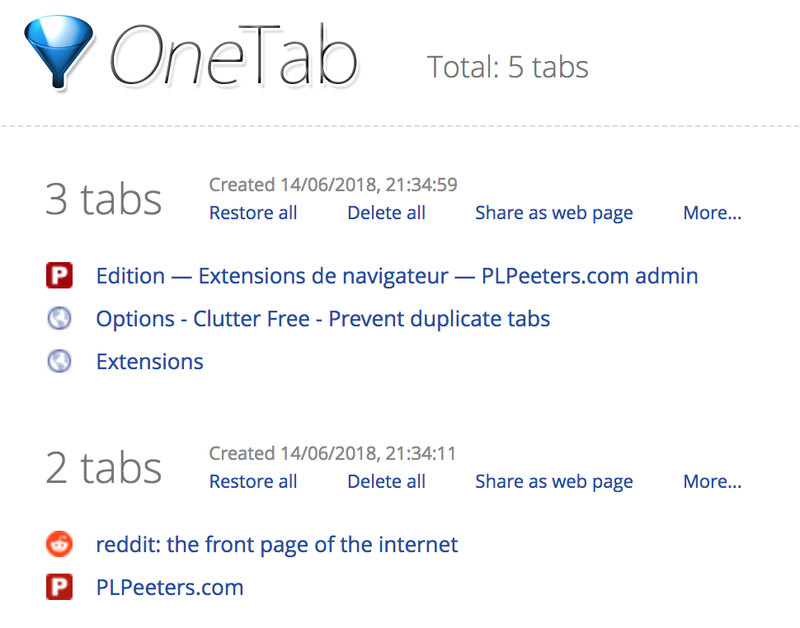 If you ever wanted to be able to save and close your current tabs so you can start from scratch, while still being able to restore your tabs later, OneTab is the extension for you. One click on the extension’s button and all your tabs (except pinned ones) get sent to a new group in the OneTab tab. You can then restore tabs one by one or restore a whole group whenever you see fit. It’s also possible to name your groups, lock them so they don’t get deleted when they are restored or star them so they always display on top. You can also generate a link that allows you to share a particular group with anyone. OneTab is available for Chrome, Firefox and Opera. 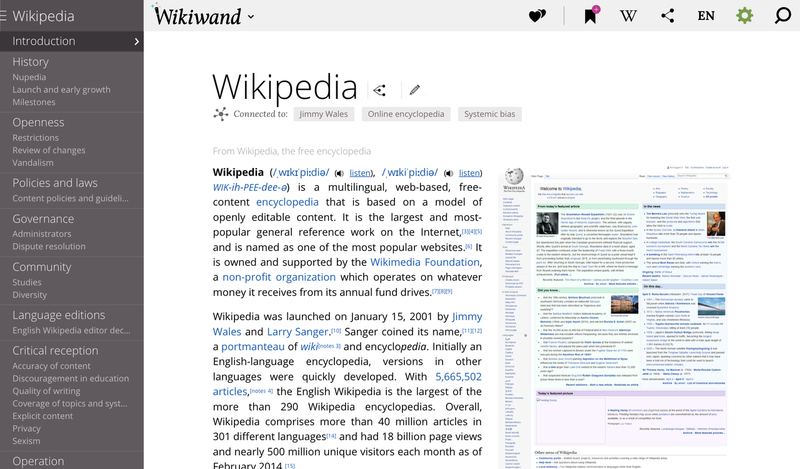 WikiWand is an improved version of Wikipedia with a much more modern interface. 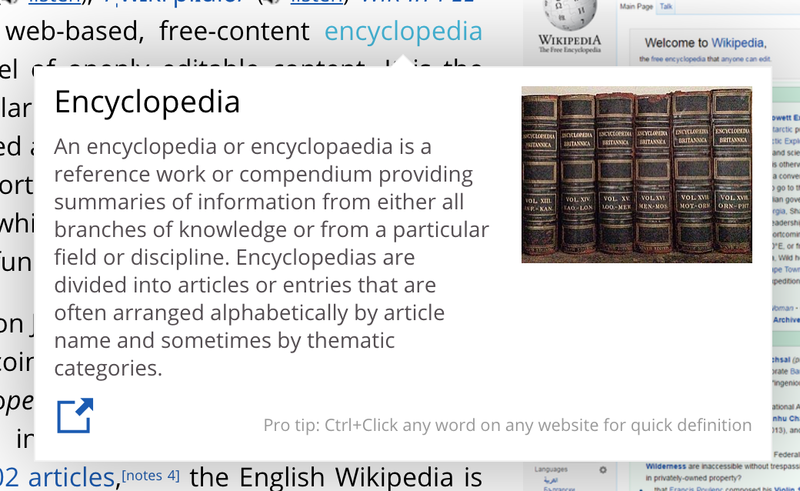 The extension simply redirects all Wikipedia links to WikiWand automatically. 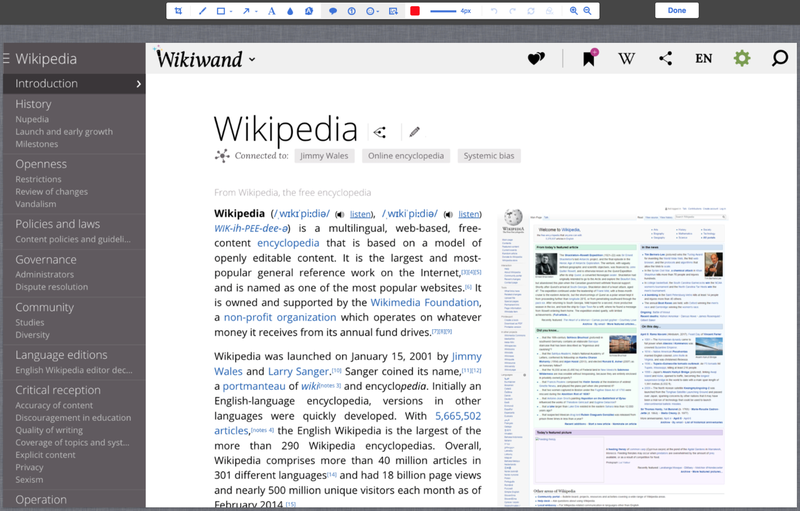 WikiWand is available for Chrome and Firefox. 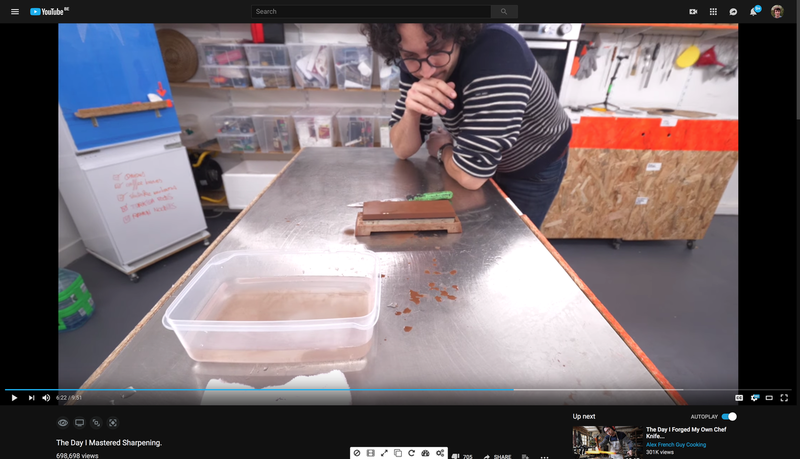 Enhancer for YouTube is available for Chrome Firefox, Opera and Edge. Awesome Screenshot is an extension which, unsurprisingly, allows you to take screenshots of websites. You can choose between the visible part, the entire page or a zone you select. It can also record your screen, but that feature is limited to 30 seconds with the free version. 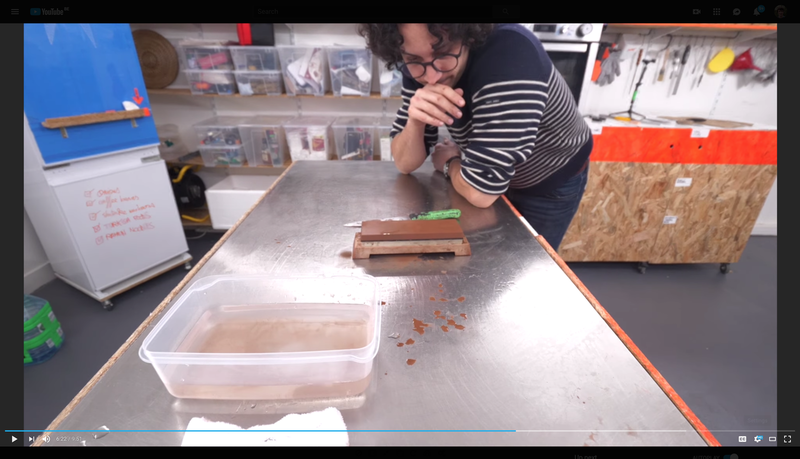 Awesome Screenshot is available for Chrome, Firefox (which isn’t that useful given the latest versions have integrated screenshot features) and Opera. Alternative for Safari: Awesome Screenshot (same name, different extension). 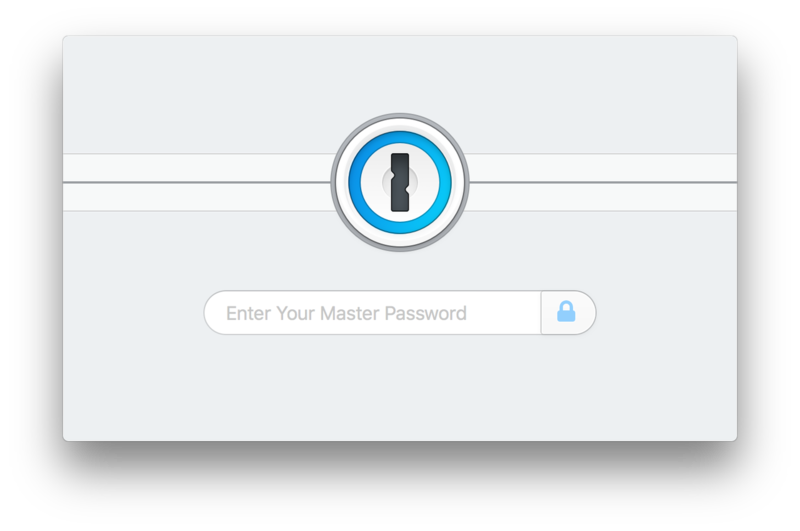 1Password is a well-known paid password manager which combines an amazing user experience with excellent security. The extension allows you to save your login information, credit cards, etc. with a single click so you can then log in using a single keyboard shortcut. It doesn’t prefill fields to avoid any security issues and is only a way for your browser to interact with the main application; the extension itself doesn’t store anything. Password managers will be the subject of a future post, so don’t hesitate to subscribe if you want to be the first to know when it’s published. 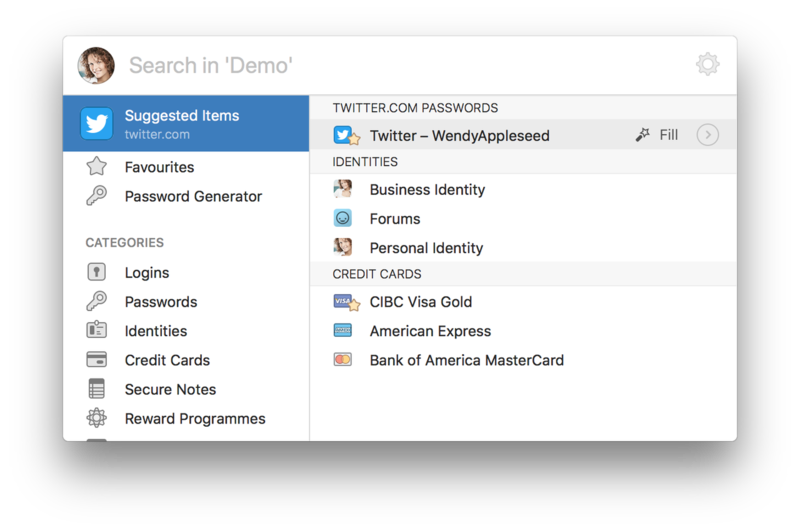 The 1Password extension is available for Chrome, Firefox, Opera, Edge and Safari. Don’t hesitate to share your favourite extensions in the comments! The Best Browser Extensions of 2018 by Pierre-Louis Peeters is licensed under a Creative Commons Attribution-NonCommercial 4.0 International License.